Over the past few decades East Asia has become increasingly intertwined economically as the share of interregional trade in total trade has increased sharply across most economies, driven by regional supply chains and production networks. These production networks have also fostered greater investment links, with the production process being broken down into subprocesses within a particular industry. 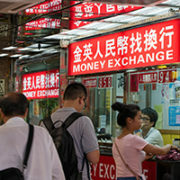 The high degree of economic integration indicates that there may be a case for exchange rate coordination, as exchange rate misalignments may result in loss of competitiveness for a country, possibly leading to an increase in protectionism, which in turn could promote a round of beggar-thy-neighbor devaluations. 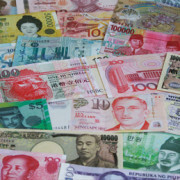 Large swings in bilateral exchange rates could influence decisions about the location of new and existing investments. In contrast, greater stability in exchange rates would support investment by increasing price transparency and reducing currency-related hedging costs for companies. Finally, sharp exchange rate movements in one currency could affect another country’s ability to maintain a particular exchange rate regime.